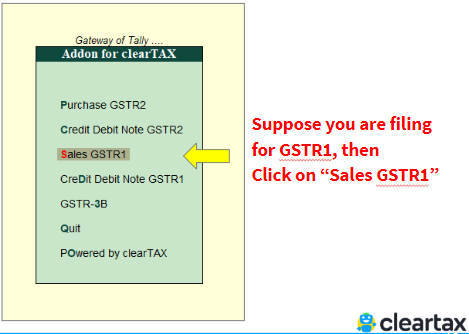 Guide to use ClearTax Tally Connector : File GST returns from Tally ERP within minutes! Are you maintaining Accounts on Tally? 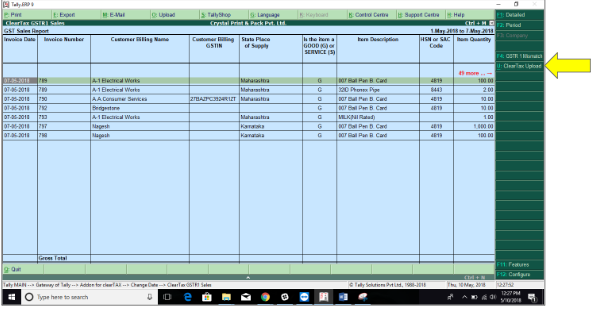 Use ClearTax Tally Connector to file your GSTR-1, GSTR-2 and GSTR-3B through ClearTax GST software in under 3 mins! What is ClearTax Tally Connector? 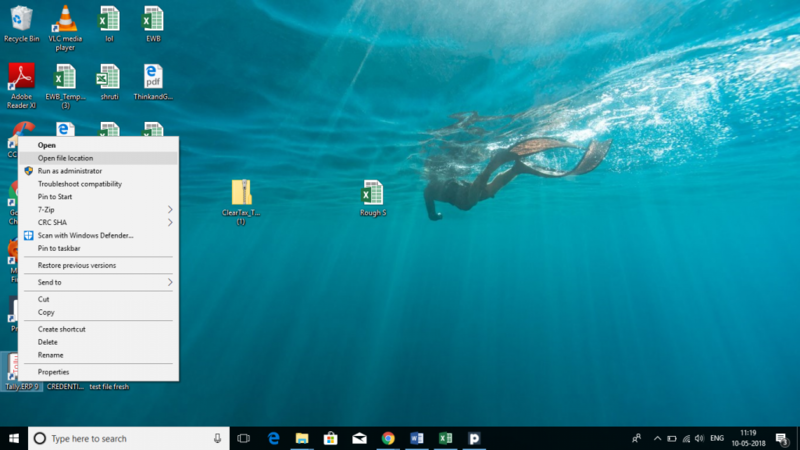 What are Prerequisites to use ClearTax Tally Connector? How to set-up ClearTax Tally Connector? 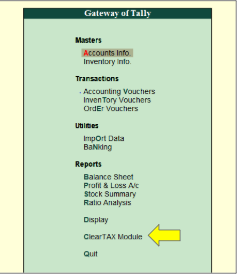 How to use ClearTax Tally Connector? 1. What is ClearTax Tally Connector? Many Businesses use Tally ERP to maintain their accounts and have to download the data in order to file a minimum of 3 GST returns every month. Organisations can now focus on growing their Business as ClearTax takes care of compliance. ClearTax GST has come up with the solution by which users can now effortlessly directly export data from Tally into ClearTax GST for filling GST returns instantly. 2. 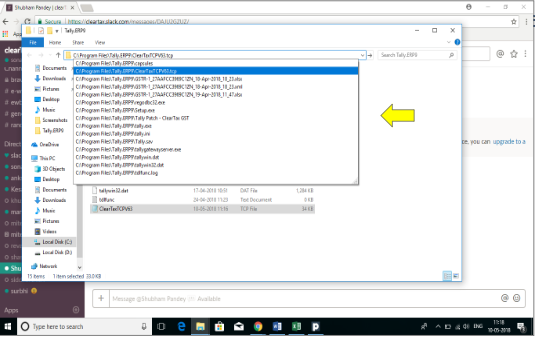 What are Prerequisites to use ClearTax Tally Connector? 2. Ensure that the system is updated with Java version 8 of update 171, Check for the latest version of JAVA. 3, Account with ClearTax GST. Sign in now! 3. How to set-up ClearTax Tally Connector? 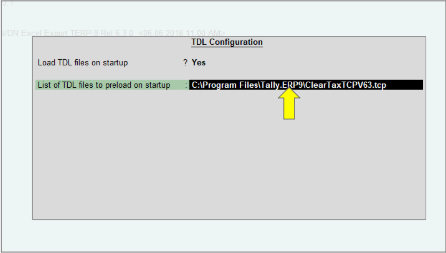 Once the TCP is loaded, click “Esc” and you can find “ClearTax Module” button in the Gateway of Tally page. 4. How to use ClearTax Tally Connector? Step 16: ClearTax portal will automatically open up where you can view all the documents which are successfully imported. Now proceed to file the desired Return in GSTR-1/GSTR-2 as the case may be.